My daughter, who has a good sense of what shows I'm going to like (Unbreakable Kimmy Schmidt, Orphan Black) recommended "Frankie and Grace." I had heard of it, and knew it starred Lily Tomlin and Jane Fonda, so I was definitely already intrigued. Well it was available on Netflix, which I caved in and subscribed to, so I tried it out. I definitely like it. It's more complex than I had expected. And by the seventh episode I really liked it because Lily Tomlin's Frankie, who is kind of a hippie, decided to start a Twitter account. Are you sure to send your first tweet? And you're sure you want to make it that profane? OK bring the cursor up to the blue button and three, two, one click it. Yeah. The whole world did. You're part of social media now baby. How can I not love that? 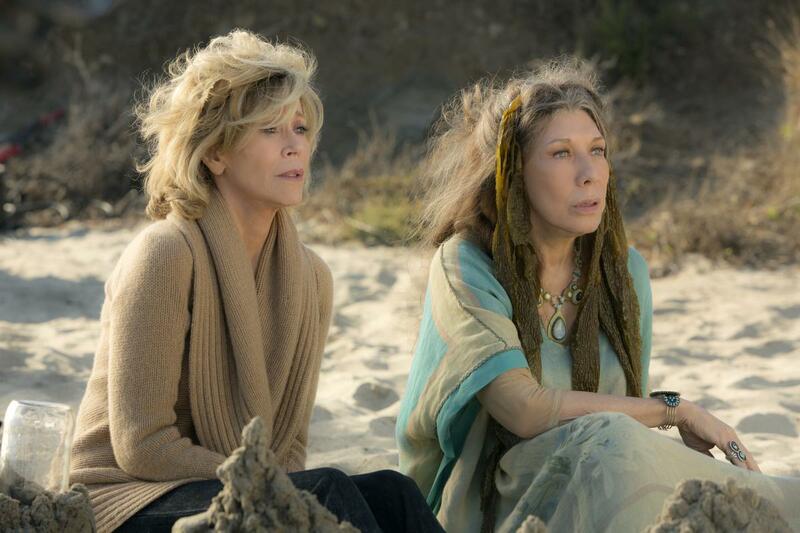 I really like the Frankie character more than Grace, but I have to say, Jane Fonda especially looks amazing.